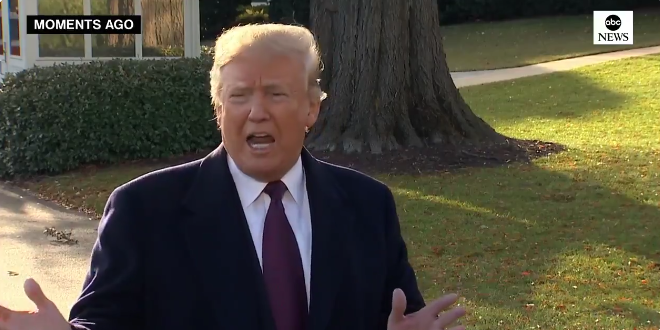 Trump On His Own Climate Report: "I Don't Believe It" - Joe.My.God. Last Friday — 48 hours after Trump’s how-can-the-world’s-climate-be-changing-if-it’s-cold-in-half-the-country-on-one-day tweet — came the moved-up release of the Fourth National Climate Assessment, a study involving 13 federal agencies and more than 300 leading climate scientists. If you missed the study’s release, well, that was the point. It was originally slated to be made public next month but was suddenly released on the day after Thanksgiving, aka Black Friday, when the country shops, eats, hangs with family and pays a total of zero attention to what’s going on in politics. Outside of Christmas and the actual day of Thanksgiving, there’s no better day to drop bad news that you don’t want people to see.